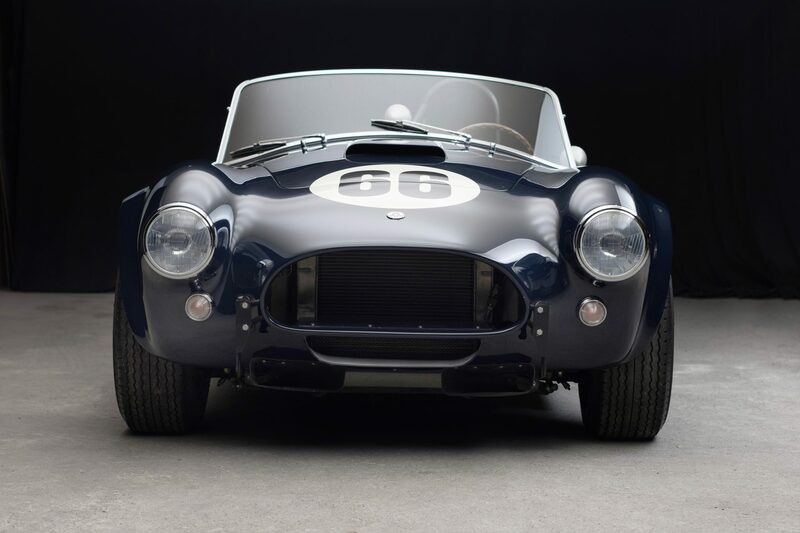 In Combining the best aspects of both British and American automobiles, Carroll Shelby managed to create a legend with the 289 Cobra, cementing his name in the history books for generations to come. 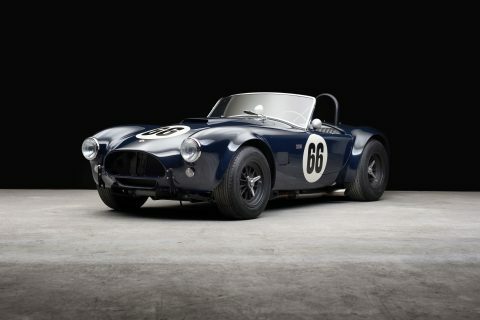 Taking an AC chassis and body and shoehorning in a small-block Ford V-8, Shelby instantly had a hit on his hands. 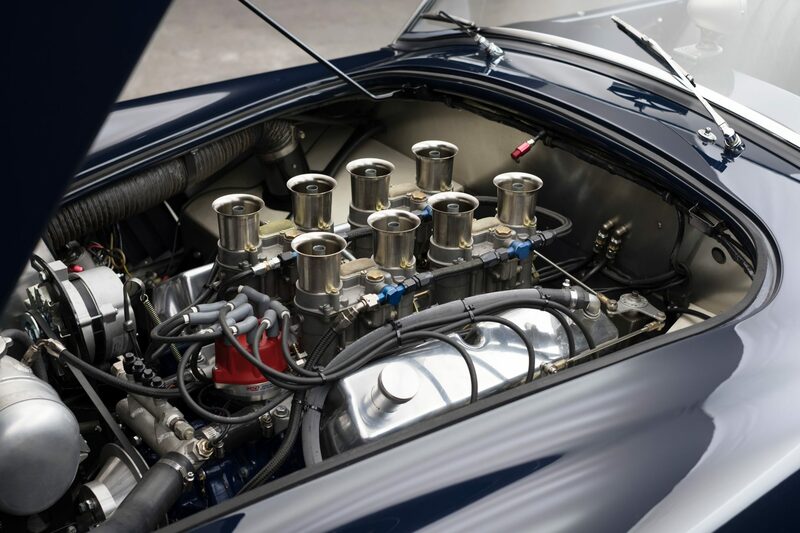 While the first 75 Cobras were fitted with 260 V-8 engines, the cars that would follow received a larger 289 engine. 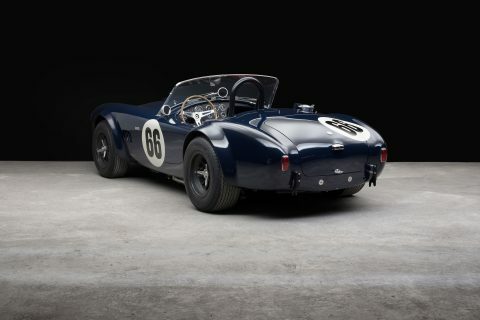 The Cobra was quoted at 271 bhp and weighed in at only 2,000 lbs., which was nearly 500 lbs. 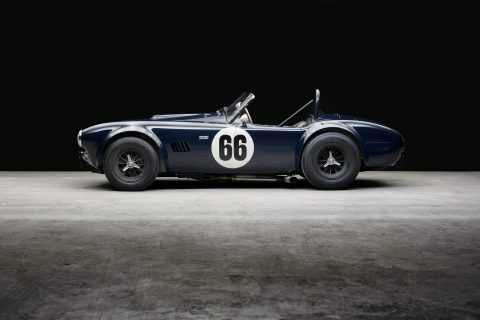 lighter than the Corvette. 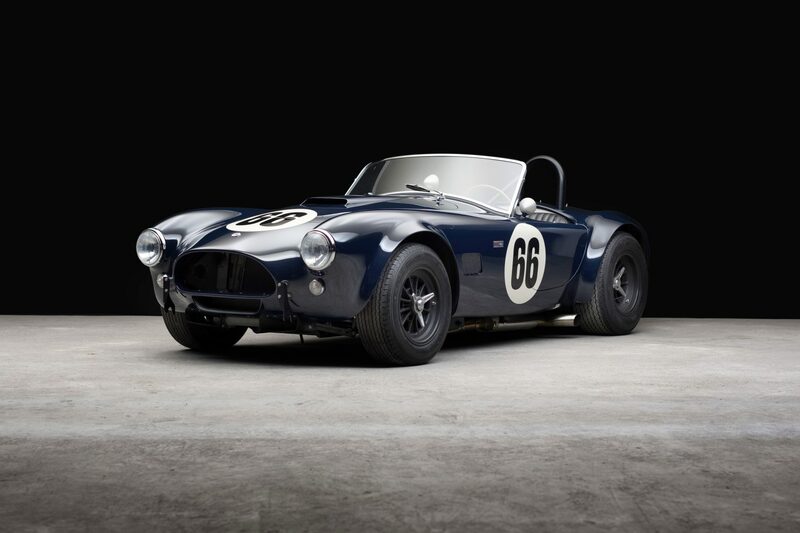 The stunning Cobra presented here, chassis CSX2433, is one of AC Cars’ second generation Mark II’s produced from 1963 to 1965. 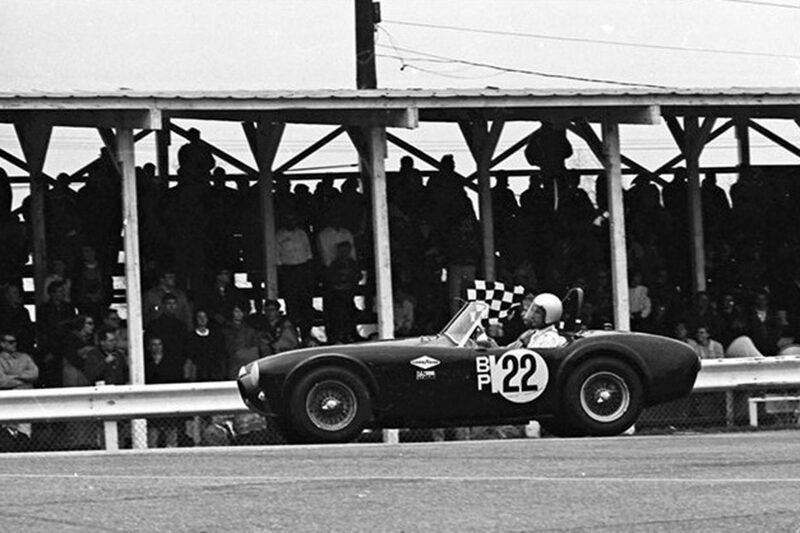 The Ford 289 was new to the Cobra for 1964, and before the introduction of the 427 the 289 was the standard bearer for Cobra in America. 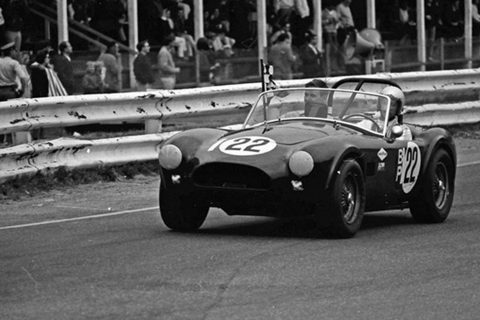 The Shelby 289 Cobra dominated the USRRC with only one loss in three years of racing. 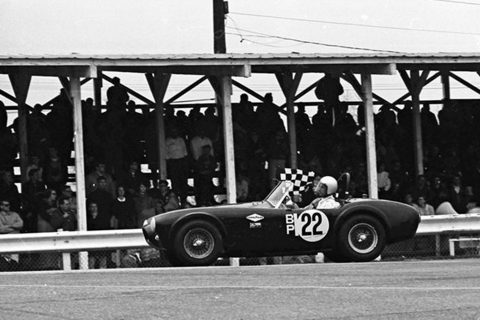 Built in England in May of 1964 and then shipped to Shelby American in June, this 289 Cobra later arrived at McAnary Ford in Gary, Indiana in August of that year. 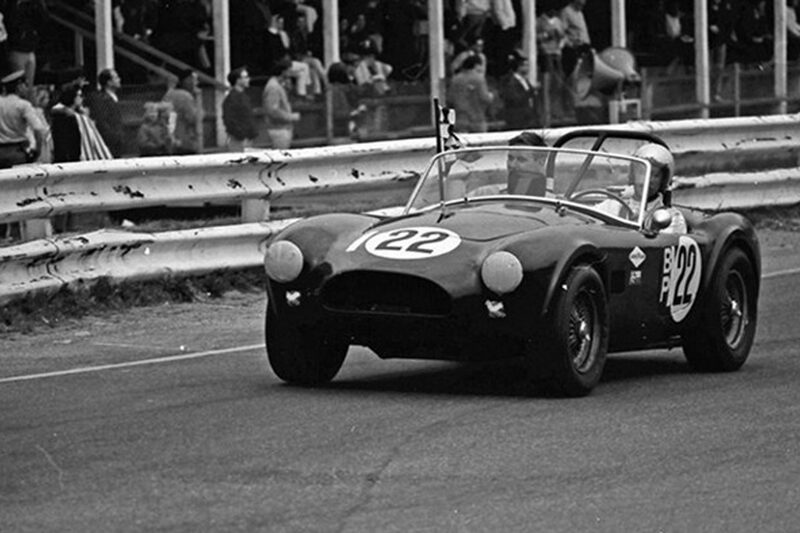 The then Vineyard Green sports car moved through a couple of owners in its first few years. The first owner of record was Douglas Casey of Chesteron, IN, who purchased CSX 2433 from its original owner. Casey would go on to sell both this Cobra and a Dragonsnake to Dodge Olmstead of Vienna, Virginia. 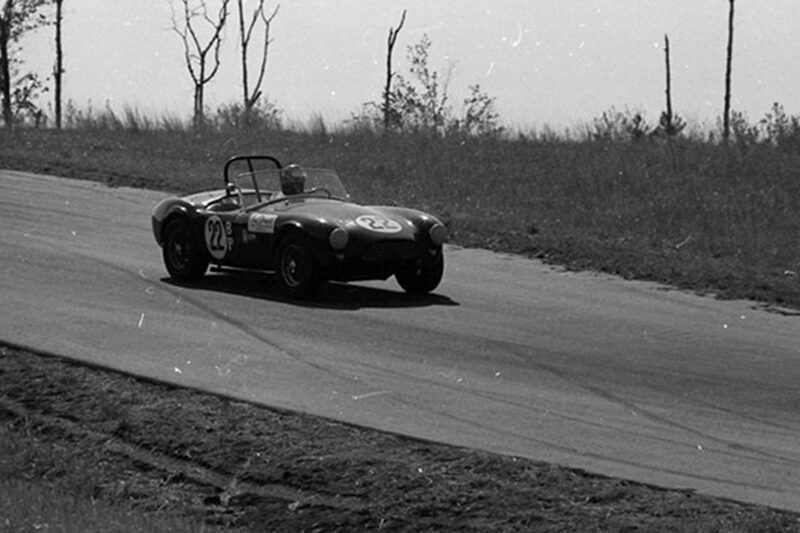 Olmstead never drove CSX 2433, and quickly sold it to his friend Brooke Perkins in 1965. 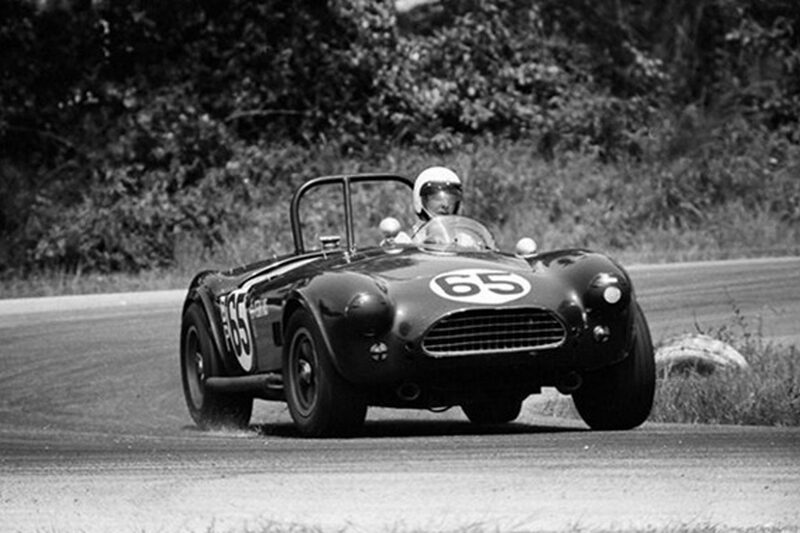 Perkins drove the car on the street for about a year, and then decided to go racing. He arranged for two friends, Jim Sutter and Rick Mandelson, to race the car until he received his SCCA License. 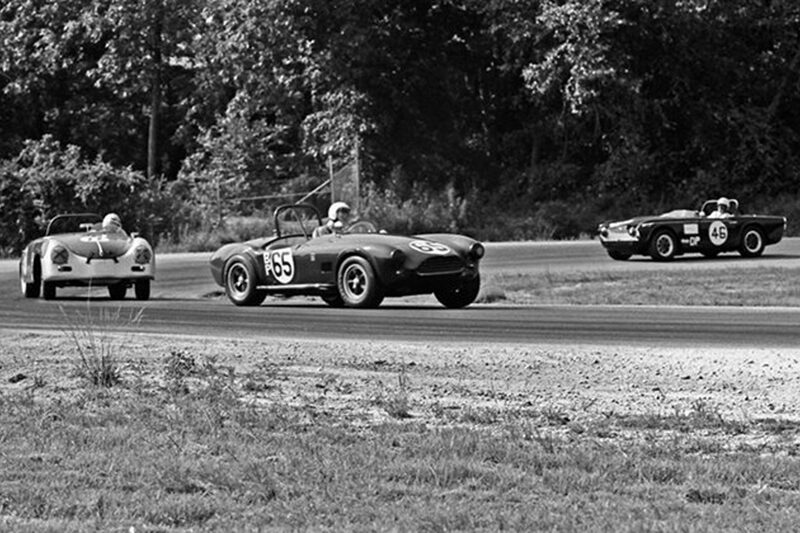 CSX 2433 raced as # 65 and #22 at Lime Rock, Marlboro, Reading, Mid-Ohio, Watkins Glen, Virginia International Raceway, Summit Point and Cumberland. Mandelson drove at the 1967 SCCA Nationals at Marlboro and took 1st in class, lapped Bob Tulius, and broke Mark Donohue’s track record by a full second. 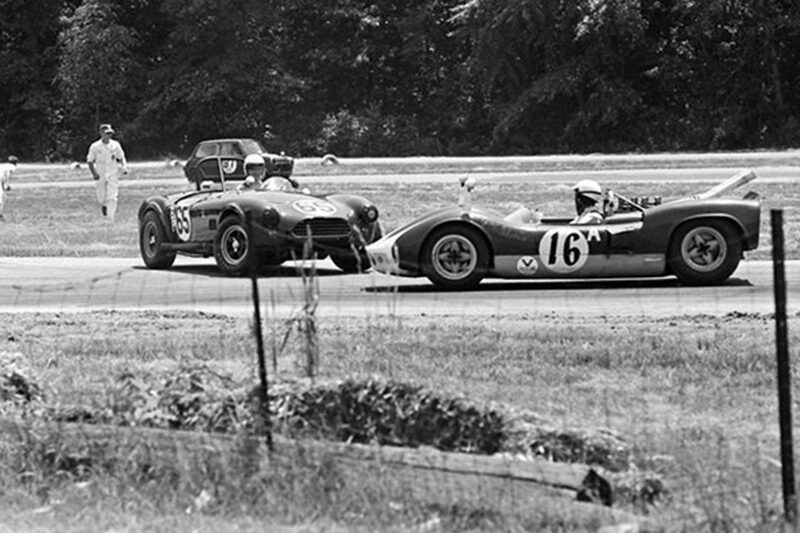 In 1968, after a couple of years of racing, Perkins put the car up for sale in Autoweek magazine. 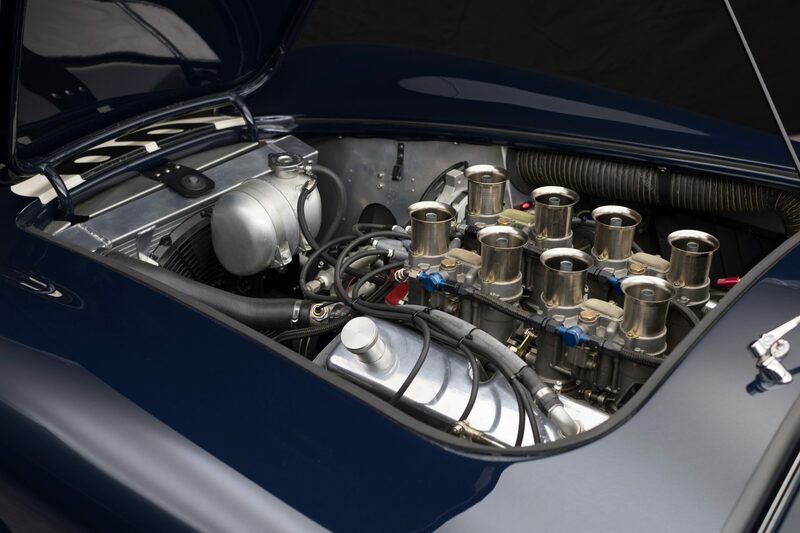 Dave Johnson of Milwalkee, Wisconsin purchased the car and after the car had been stripped to bare aluminum, primered and a new interior ordered, Johnson decided to sell CSX 2433. 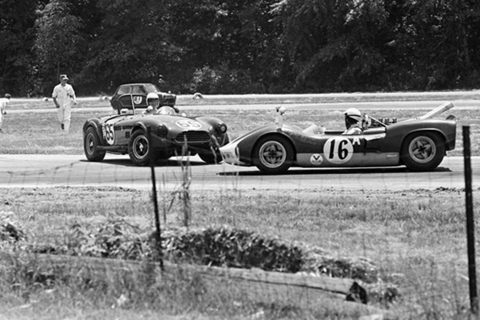 In 1969 the car landed back in the hands of another racer, Daniel Schott of Osh Kosh, WI. He was the owner of a bar in Oshkosh called “My Brother’s Place” and would race under the banner “My Brother’s Place Racing Team”. 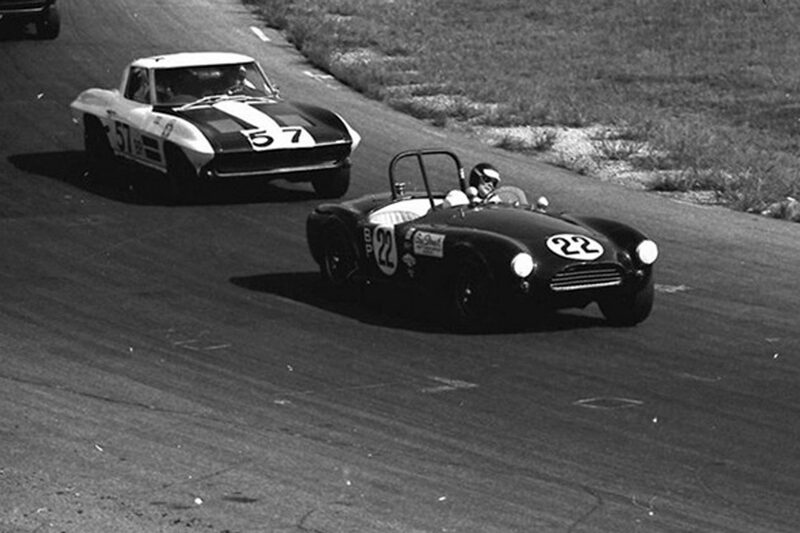 Schott campaigned the car in SCCA B-P as #66 and #69 from 1969 through late 1972 at Brainard, Elkhart Lake, Blackhawk Farms, Watkins Glen, Mid-Ohio, Michigan Int’l Raceway, Waterford Hills, Nelson Ledges, St. Louis, Lime Rock and Atlanta. 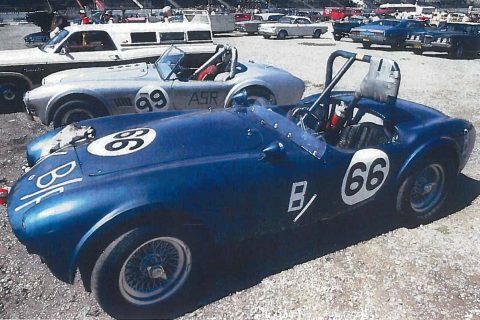 In 1973, after many years at the track, the car was given a rest and returned back to its original street form by its next owner, Steve Mondloch of Kaukaun, WI. 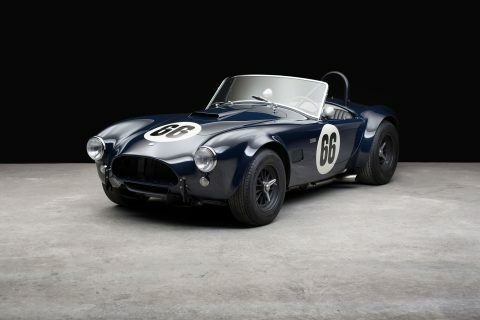 He would completely restore the car in 1981 and go on to own the Cobra until 1990. 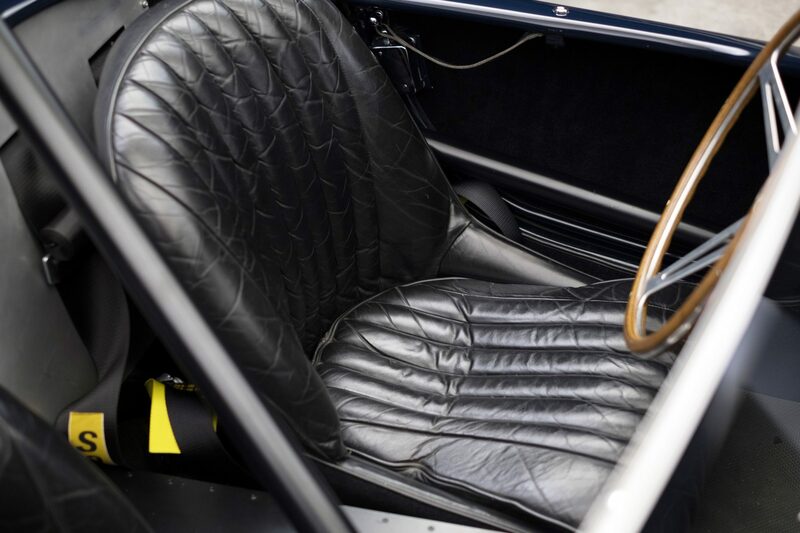 After passing through another owner the car would end up in the care of the noted collector, Bill Jacobs, and began living the sedate life of a treasured, collectable car. 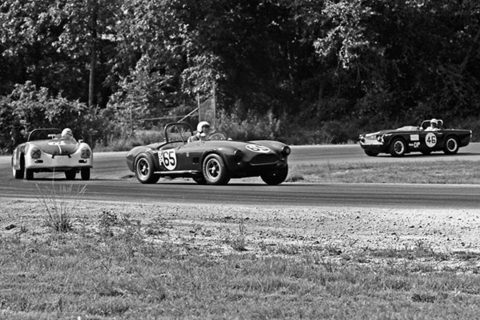 Of course, retirement doesn’t work for everyone and CSX 2433 was raring to get back to the track. 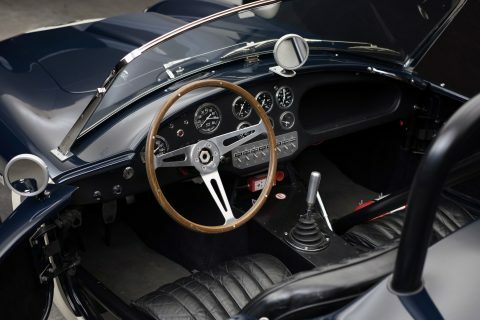 The car was acquired by Bruce Canepa in 2007. Once through their doors the Cobra was taken down to its component parts and a nut and bolt rebuild and restoration was performed. 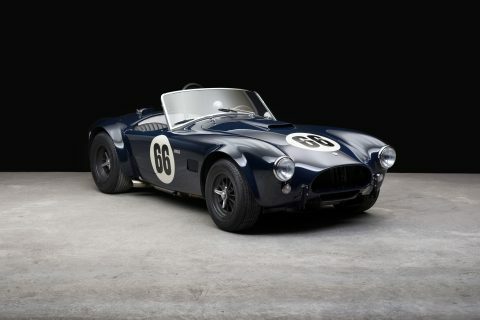 The body was removed from the frame, with the intent of making the Cobra concours correct, as well as race track fast. CSX 2433 has been meticulously returned to its original competition configuration. Its Traco built 289 V8 breathes through a quartet of Weber carburetors. 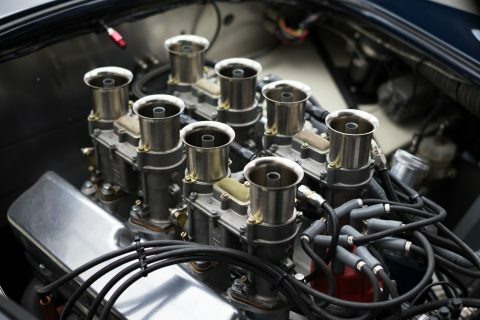 Its Ford T10 transmission sending the power down to the Eaton Trutrac Dana 44 rear end. 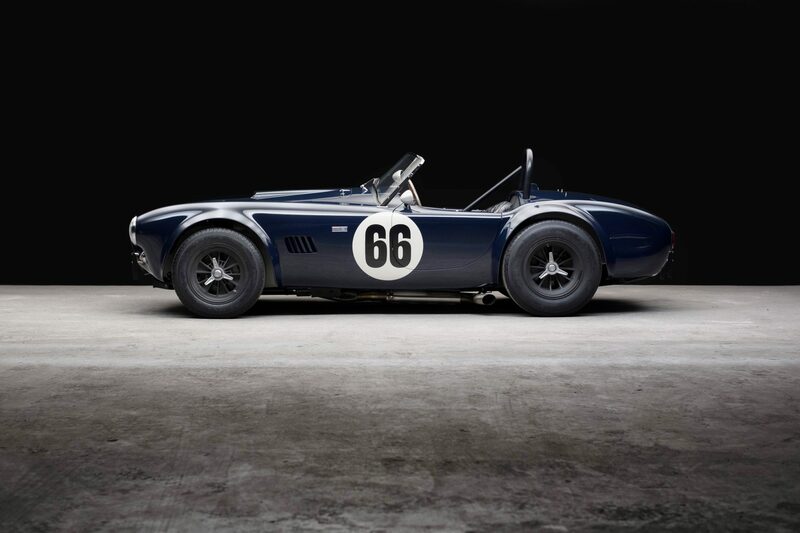 Its suspension custom made, from the front and rear sway bars to the fully adjustable shocks. Its magnesium wheels shod with racing rubber. Its purpose once again to win races. Just days after its restoration CSX 2433 made the trek to Florida to take second place in the Shelby Cobra class at the prestigious Amelia Island Concours d’Elegance, narrowly beaten by the first Shelby Cobra ever built. 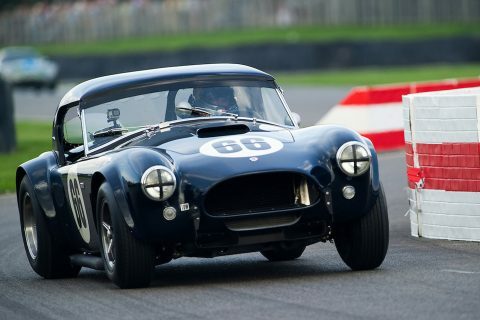 A stellar accomplishment for any car, but this Cobra was restored to race and it was about to get its first taste of competition in decades. CSX2433 made its return to racing at the Rolex Monterey Motorsports Reunion, which for 2012 was an epic celebration of all things Shelby. 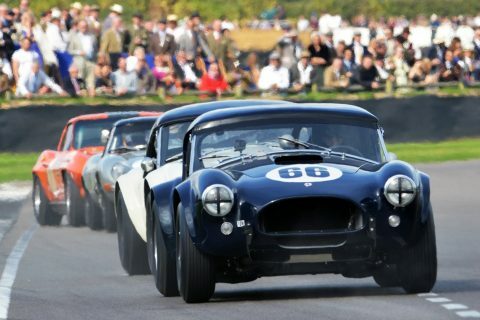 Jumping in at the highest level of historic racing, the Cobra rumbled onto the legendary Laguna Seca circuit with 40 other competition Cobras, ranging from USRRC cars to a Daytona Coupe. 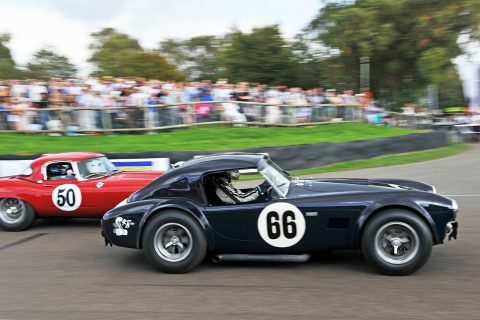 Having started dead last in 41st place Bruce and his Cobra managed to get to 6th place in 11 laps! Seeing CSX2433 blasting through the Corkscrew, passing its sister cars left and right was a sight to behold. This period independent comp car was restored by a Cobra specialist as his personal racecar. No expense was spared and the result is a Cobra that can win on the lawn as well as the track. 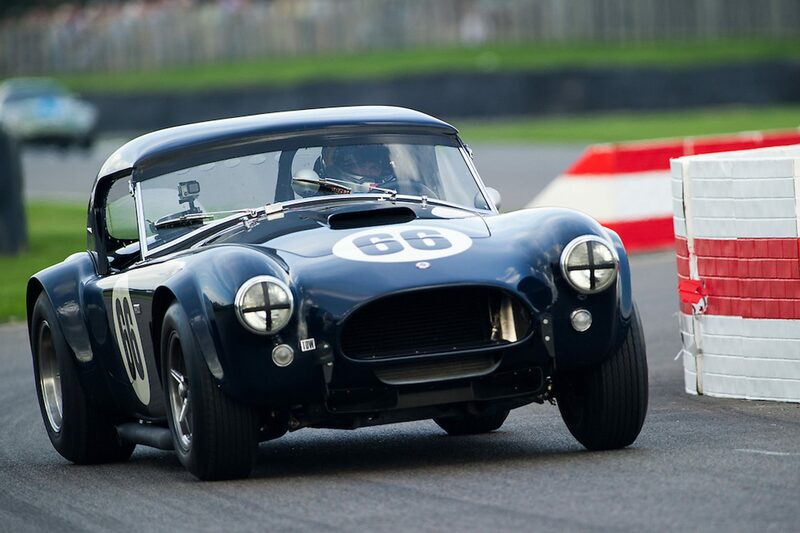 In more recent years, CSX2433 was successfully entered at the 2014 Goodwood Revival before being acquired by its current owner in 2016. 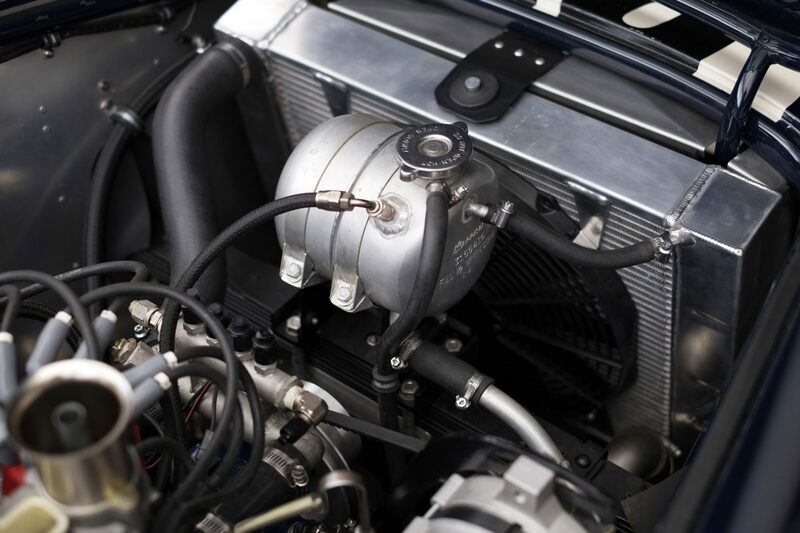 Further mechanical work were done to the engine by UK marque expert and fully documented. 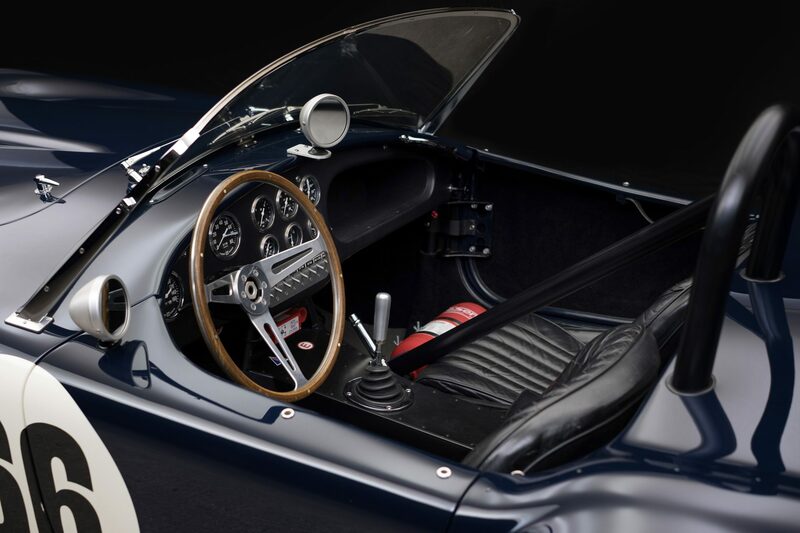 CSX2433 comes with its LeMans Hardtop and is available immediately for the next custodian’s enjoyment. 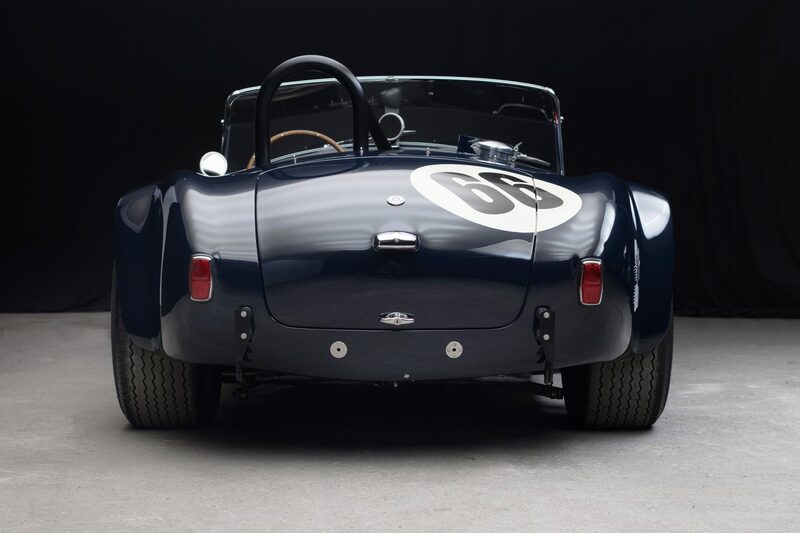 It represents one of the most competitive examples of its kind in addition to being eligible in just about every historic event!